Join us for the grand opening of the most comprehensive British ceramics museum in the United States. The WMODA, home to the most outstanding collection of 19th and 20th century British ceramics. 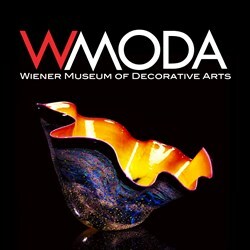 The Board of Directors and staff of the Wiener Museum of Decorative Arts (WMODA) are pleased to announce that the museum will open at the Gallery of Amazing Things in Dania Beach, on Saturday January 18th, 2014 (in temporary accommodation). The grand opening ceremony will take place during the 2014 Ceramics Fair hosted by the Gallery of Amazing things that weekend. The WMODA will be officially open to the public Monday through Friday from 10:00 am to 5:00 pm starting on January 20th, 2014. The museum is located at 481 South federal highway, Dania Beach Florida. WMODA features the greatest collection of nineteenth and early twentieth century British ceramics in the world. Inside you will find works from the various British ceramics factories including Minton, Doulton, Copeland, Martin Brothers, Wedgwood and Moorcroft; as well as designs by leading exponents of the ceramic art such as Ralph Wood, Josiah Wedgwood, Robert Martin, William de Morgan, Mark Marshall, Daisy Makeig-Jones, Harry Nixon, George Tinworth, Charles Vyse, Florence Lewis and Hannah Barlow. The collection includes some of the most revered works from the early industrial revolution in England. Displayed are examples of Staffordshire cream-ware figure groups by Ralph Wood and his family (c.1775-1830), and Josiah Wedgwood’s famous Portland Vase (after 1789), in blue jasper, modeled after the original cameo glass Roman vase which in Wedgwood’s day was in the collection of the Duke of Portland. The early years of the new century industrialization really came into its own, allowing not only standardization of form, but also the ability to work on a much larger scale. From the middle of the 19th century, masterpieces such as an enormous Minton Majolica centerpiece (c.1869), featuring mermaids supporting a huge seashell, and a large Copeland Parian ware figure entitled Sappho, (c.1873) can be seen at the museum. In the second half of the nineteenth century there was a backlash against industrial standardization and form. This led to the Arts & Crafts movement, and a revival of interest in studio pottery. Later nineteenth century works in the collection include masterpieces from the art pottery movement, such as magnificent and whimsical stoneware fish vases and face jugs by the Martin Brothers (1880s and 1890s) and a collection of elegant and intricately conceived vases and tiles from William de Morgan. De Morgan was a close friend of William Morris, the father figure of the Arts & Crafts movement. De Morgan’s highly decorative works often show the influence of Moorish art or medieval study, and are widely recognized as the equal of Morris’s tapestries or Pre-Raphaelite painting in their art historical significance. The influence of Art Nouveau can be seen in many works from Doulton, as well as in examples of lustreware from Pilkington Royal Lancastrian. The twentieth century was a period of high artistry, with new forms rising out of old ones. Fairyland lustre, invented by designer Daisy Maekeig-Jones and developed by Wedgwood from the lustreware tradition of the nineteenth century, has colorful and glittering designs influenced by many famous illustrators of the period. This art form, well represented in this collection, has become the most eagerly collected of all Wedgwood styles, with collectors including such notables as Whoopi Goldberg and Barbara Streisand. Perhaps the most impressive section of the collection are the numerous examples of Flambé ware, initially developed by Royal Doulton, including beautifully molded studies of animals, lidded vases featuring cottages and sunflowers, and an enormous pumpkin vase from the 1920s. Inspired by an ancient Chinese glaze, sang-de-boeuf, Flambé made its debut at the St. Louis exhibition of 1904. Many of the most important 20th century works in the WMODA collection come from Royal Doulton. Their figurine tradition was given new life by designers such as Harry Nixon, George Tinworth, Charles Noke and Charles Vyse. Nixon was so influential that the numbering system of a group of figurines still in production today uses his initials. HN1 was Darling, a figurine seen by Queen Mary when it was in early production. Her comment while visiting the Burslem factory in 1913 stating that it was “darling” gave this important work of art its name. Charles Vyse’s Piccadilly Rose Woman, c. 1922, and Punch and Judy figural group from 1929, show the spectacular detail and color achieved by Vyse. Also of significant interest are the character jugs and mugs, mainly again from Royal Doulton, often popularly known collectively as “Toby Jugs.” These developed in the late 1700s, but their heyday was in the nineteenth and early twentieth century. This collection includes earlier examples, from the salt-glaze Lord Nelson mug, first produced by Doulton & Watts in 1821, to the earthenware prototype of a Nelson Mandela mug, made ca. 2000. In addition, the museum collects works of 20th and 21st century artists and designers, including exponents of the studio glass movement such as Dale Chihuly, Toots Zynsky, William Morris and Paul Stankard, as well as the work of early glass artists such as Rene Lalique. The museum will open with a special exhibition of works by Dale Chihuly. For more information on the museum please contact David Setford, Consultant Museum Director, at david(at)wmoda(dot)com; or Arron Rimpley, at arron(at)galleryamazing(dot)com. Alternatively, please call the museum on 954-376-6690.